3. Investigate moving the tunnel opening from the Upfield railway line to Oak St. The community welcomes the removal of the Elliott Avenue interchange from the proposal. However, the inclusion of a Flemington Road access point has obviously created community anxiety. Large questions now exist as to which residents will be impacted by this new project element and which areas of parkland will be forever lost to the toll road. 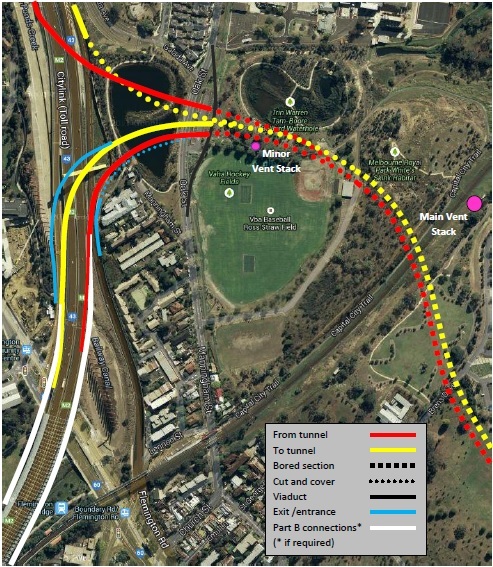 A Better Alternative: Parkville is based upon the road design of Safety Net for royal Park Option 2. This design option reflects a more sensitive design approach which is still largely contained within the project boundary as defined by the Linking Melbourne Authority and the Planning Permit as approved by Planning Minister Matthew Guy. The benefits of this design over the LMA reference design are numerous. 55 Homes in West Parkville are saved from destruction. 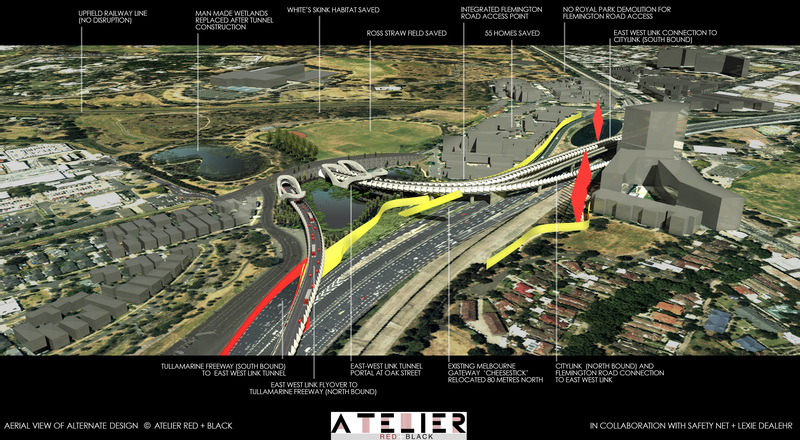 I would have liked more detail on the connection of the city bound exit from the tunnel to Flemington Road. This point is shrouded from view on your main drawing/representation. Agree however that this is far better than any connection to Flemington Road in Royal Park. Still hoping though that none of this becomes a reality!